The Republican plan to continue Medicaid expansion will result in half of the 96,000 people currently enrolled in the program losing health coverage. That’s according to an analysis released this afternoon by Governor Steve Bullock’s office. The fiscal note from the governor’s office cites a previously published study from George Washington University to forecast the potential drop in the expansion enrollment. The Budget Office’s analysis says the Republican plan would cost the state about $2.5 million less over four years than a Democratic bill to keep the Medicaid expansion going more or less at status quo. The Democratic bill does, however, boost state funding for a voluntary program to help Medicaid enrollees find jobs. 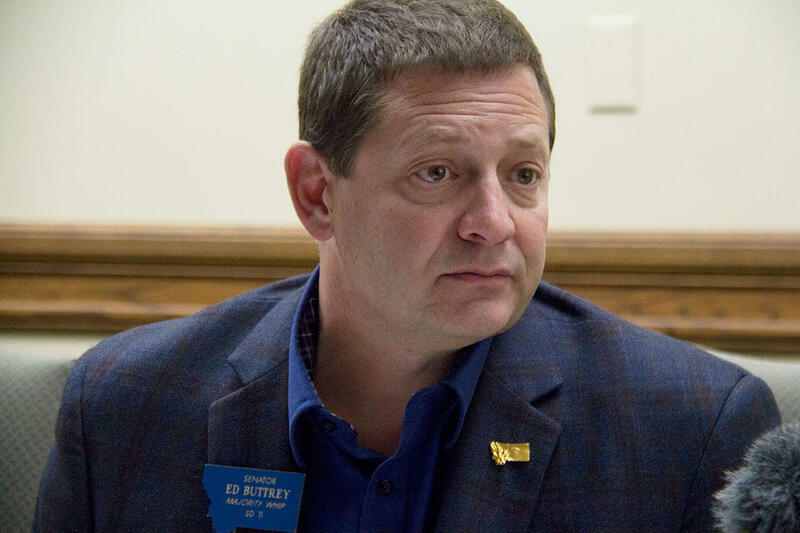 When Republican Representative Ed Buttrey, from Great Falls, introduced his bill last week he said he was unsure of what’s its fiscal note would say, but skeptical. "Fiscal notes are political games." Fiscal notes are not a nonpartisan review of a legislation’s potential cost, since they come from the governor’s office. Governor Bullock has criticised the idea of additional requirements, including, in some cases, work requirements, on Medicaid expansion enrollees, which Buttrey’s bill would do. The fiscal note released Friday afternoon estimates that changes in Medicaid eligibility and other rules in Buttrey’s bill would create administrative costs to the state totaling over $11 million a year. Tonight on Capitol Talk: The state's utility regulators endorse a bill that appears to weaken the their own regulatory oversight. The cost of Medicaid expansion — and a new revenue estimate — complicate the state budget outlook. The president of the Senate wants to be the top election official. And the mayor of Helena wants to run for governor or Congress, but he's not ready to say if he'll run as a Democrat or Republican. While much of the state was enjoying a sunny St. Patrick’s Day, state lawmakers and scores of people concerned about health care spent all day Saturday inside the state Capitol debating two competing visions for the future of Medicaid expansion in Montana. The State Legislature will be in session on Saturday to take up what's arguably the biggest issue of this year's legislative session: Medicaid expansion. The two parties will introduce bills with clashing visions for how to continue the state’s health insurance program for low-income adults, which expires in just over three months.